Win $100 AmEx gift card! Working at summer camp is more than a summer in a beautiful location and meeting great people…its also about fun! Whats more fun than dressing up in costumes at camp? From Summer Halloween to Color Wars, Carnivals and Olympics camp counselors have lots of excuses to play dress up! 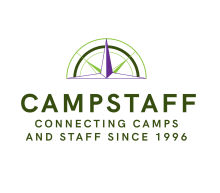 With “real” Halloween approaching, CampStaff.com is looking for photos or videos of the best camp costumes of summer. Use #campstaffcostumes on your favorite shot or video in your Instagram, Facebook or Twitter accounts of you or your fellow camp staff in costume at camp (any year is ok). Tag your camp in the pic too! #tag as many pics and videos as you like! Every “like” your pic/vid gets = 1pt; every “share/retweet” =2 pts; every comment = 3pts. Whichever pic or video has the most points on Oct 31 wins $100 AmEx gift card.